The missing link is a concept describing an intermediary form, either a fossil or otherwise, between two species. This missing link, also known as the " transition form", has a theoretical mixture of the characteristics of two species, one described as primary and the other as evolved. The concept of the missing link developed when the evolutionists believed that theevolution of a species was mostly linear, that a primitive species gradually led to the evolved species present today. The missing link refers to the ancestor that connected this line to the primitive species from which it separated. 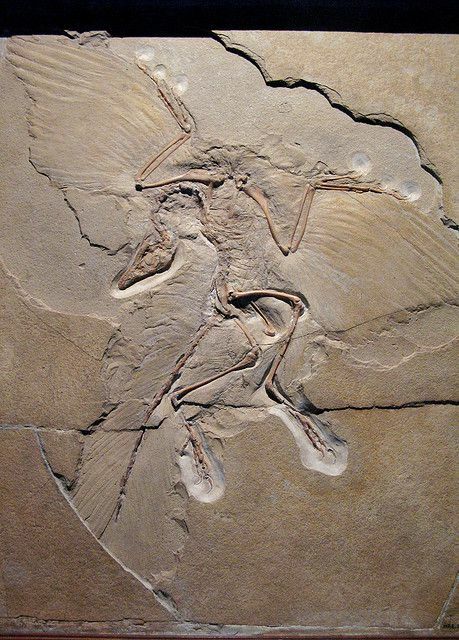 By this theory, the archaeopteryx was the typical example of the link between the dinosaurs and birds. We now know thatevolution occurs through the outward divergence of many species, only a few of which have descendants which are still present today. Therefore, fossils are also divergent, without usually being part of a direct line between a current species and its primitive ancestor.